The Bible says, "For the word of God is living and powerful, and sharper than any two-edged sword, piercing even to the division of soul and spirit, and of joints and marrow, and is a discerner of the thoughts and intents of the heart." (Heb 4:12). The word of God is living and powerful and it has always been like that. But those who take it and assimilate it in to their soul by the power of the Spirit will bring the same power of God in to their lives. My question to you is? 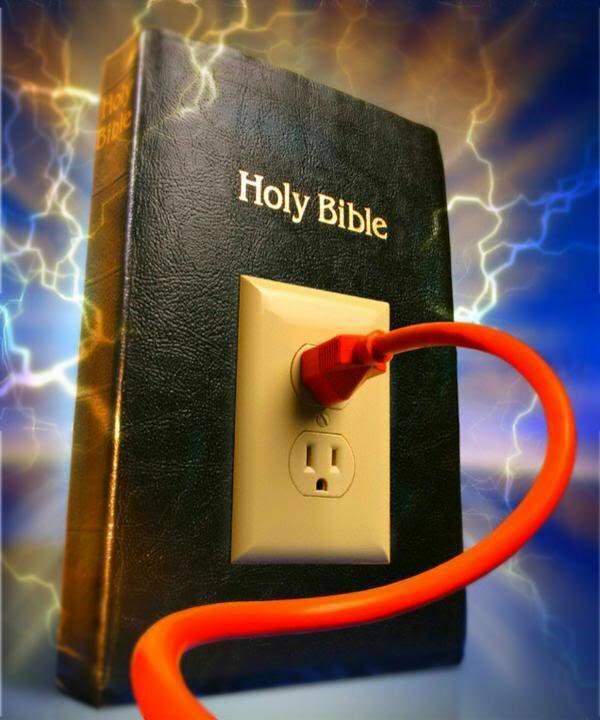 The WORD OF GOD IS POWERFUL, but are you? The hunger to eat the word of God is not a natural thing, but it is a supernatural thing that comes from the throne of heaven. When we come to the Lord, our spirit get born anew with the life of God (JOhn 3:5-8). This new spirit will long after the word of God and the Spirit of God. The more we feed the longing of this spririt-man with the Word of God and the Spirit of God, the more it will grow in the image of Jesus who is the first-born Son of God in to this world (Col 1:15; Rom 8:29; Heb 2:10-11). The word of God is like food and the Spirit of God is like water to the spirit-man. When Jeremiah started to eat the word of God he began to fulfill the powerful calling of God to prophecy the rise and fall of many nations (Jer 1:5, 10). Even though Jeremiah suffered in the natural and was a weak man physically for God's sake (Jer 15:15), in the spirit-realm he became a powerful man to deal all the demonic forces that were trying to hinder him from fullfilling God's mighty prophetic calling over his life (Jer 10:10-11). Here is the testimony that Jeremiah himself gives, "Your words were found, and I ate them, And Your word was to me the joy and rejoicing of my heart; For I am called by Your name, O Lord God of hosts." (Jer 15:16). Because the word of God was consumed continiously by Jeremiah in to his spirit, God Almighty's word became the joy and rejoicing of his heart. This same joy and rejoicing gave him the strenth to endure the hardships of life to eventually fullfill the mighty prophetic calling of God in his life (Neh 8:10). THE WORD OF GOD IS THE POWER BEHIND ALL GREAT MEN AND WOMEN OF GOD. God first teaches His word to a man before He brings His power to and through that man. The word should become flesh, before God can tabernacle in His power through that flesh (John 1:14). What are you waiting for? Set a time to read the word of God everyday. Discipline yourself for a regular intake of the WORD OF GOD for a good healthy spirit-man. Before you can realise it yourself, the power of God will be seen through your lives by people around you. You will become a COOL naturally supernatural man and woman of God.